Sustrans, the charity that's making it easier than ever to walk and cycle, is delivering a new project to get Bedford cycling! 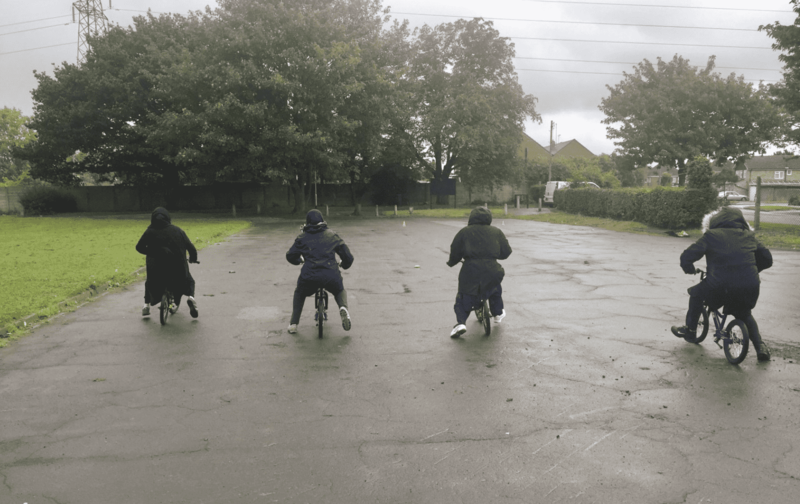 Funded by Bedford Borough Council, the Eileen Alexander Legacy Fund and the County Sports Partnership; teamBEDS&LUTON offered training and advice to people who may be new to cycling via Biker Tots. The 'Learn to Cycle' course was available since September and has already helped a group of 15 Asian women in the Queens Park area of Bedford. At Allen Park, Michelle Carty from Biker Tots has been giving the ladies lessons using adult balance bikes – normally used to teach children. The women couldn't afford a bicycle of their own so Sustrans linked them into a free recycled bike scheme. This will also give them the option of purchasing children's bikes for a reduced price too. At the end of the course it is expected that 6 women will be set up with bikes to continue cycling. The women use Whatsapp to communicate with one another. This helps them to plan their activities and give support and encouragement to each other. Speaking about the project Siobhan McSwiggan from Sustrans said; "Working alongside our partners teamBEDS&LUTON we're delivering a project which is all about giving people the skills and the confidence to take part in cycling. We've had a great start and many of the women who've taken part feel really positive about the course. Many said they found the experience challenging but rewarding and were surprised that they'd found something they enjoy doing in the rain!" Please visit www.sustrans.org.uk for more information about the work we do. Please visit https://www.bikertots.co.uk/about-1/ and https://www.teambedsandluton.co.uk/about for more information about our partners.